We always find spare time in our lives and want to chat with someone. 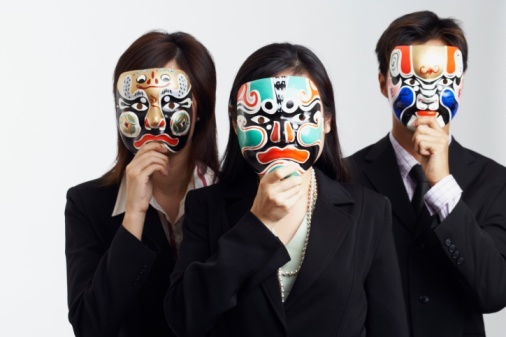 We at times feel like chatting with stranger being anonymous, not reveal our identity and talk about our lives. Most of today’s chatting solutions like Yahoo, Gtalk, Rediffbol, etc. are non anonymous and allow only invite based chatting, the chat-rooms are flooded with bots you never end up find a human to chat with on the other end. So how do we chat with real world humans whom we don’t even know about? There are solutions which serve exist. Services like Omegle, Chatroulette, shufflepeople, etc. which let you connect to complete stranger individuals which could be sitting any where around the world and waiting for you. This is a great way to find new friends around the world, to speak to strangers or just have some fun by chatting with some Chinese electrics guys or a some Indian IT professional. So go ahead and try your luck finding out real world interesting individuals and who knows you may find somebody in the neighborhood city waiting for you to make your spare time interesting . Omegle allows you to chat with strangers connected to this site, has a very clean and simple interface. It lets your start the chat session with a single click and has both the features of Text and video chat. Chatroulette™ This is another such website for anonymous chatting with strangers. Has a Flash based interface. You can initiate the chat , both text or video and start talking to a random person selected by the site. You can any time decide to leave the chat if you are not interested and start a new random connection. Shufflepeople is another such service which lets your randomly chat with strangers. Shufflepeople has few rules and allows only people with age above 18 years to connect. It also asks for an email ID before you start the session, hence there is till a doubt it your connection to the site is anonymous or not. Good part is it shows you how many people are currently connected to their server. Also it reports and bans people if abusive language is used. Dontalk features chatting in your own language. iMeetzu lets you chat with stranger on an iPhone. Funkmaster lets you share photos and videos while chatting with strangers.